This House Does a Christmassy Version of the Gangnam Style–With Lights! | OhGizmo! This House Does a Christmassy Version of the Gangnam Style–With Lights! By Hazel Chua on 11/29/12 • Leave a comment! It all started with PSY and now it seems like everyone’s doing it. The Gangnam Style, I mean. I’m not exaggerating, because the phenomenon has spread and it seems like it’s not beneath anyone (or anything) to do the horsey dance these days, from prison inmates and mother-and-child tandems to U.S. Navy robots and houses. Yes, you read that right: houses. How? Well, certainly not by moving its foundations and fluttering its doors and windows open and close. 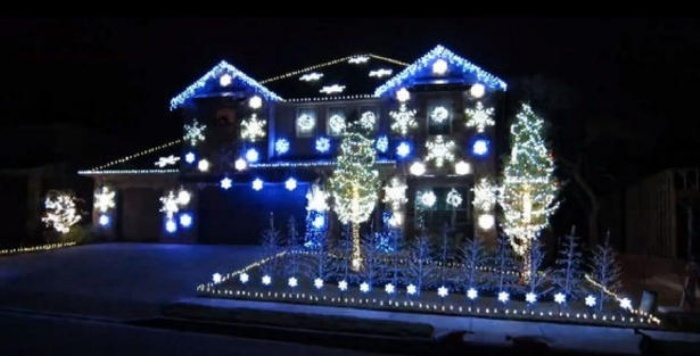 Instead, this house ‘performs’ the Gangnam Style with Christmas lights. It’s a pretty good light show overall and injects a holiday theme into Psy’s viral hit. And in a strange and funny kind of way, it actually works. Hit the break to check out the light show.